It’s taken 32 years and seven months, but on January 27, 2019, Rafael Nadal was made to look old. Nadal has always been one of, if not the best in terms of strength, speed, power and sheer force of will. But on this day, the irrepressible Novak Djokovic made his great rival look sluggish, a distant second behind the Serb and even docile. 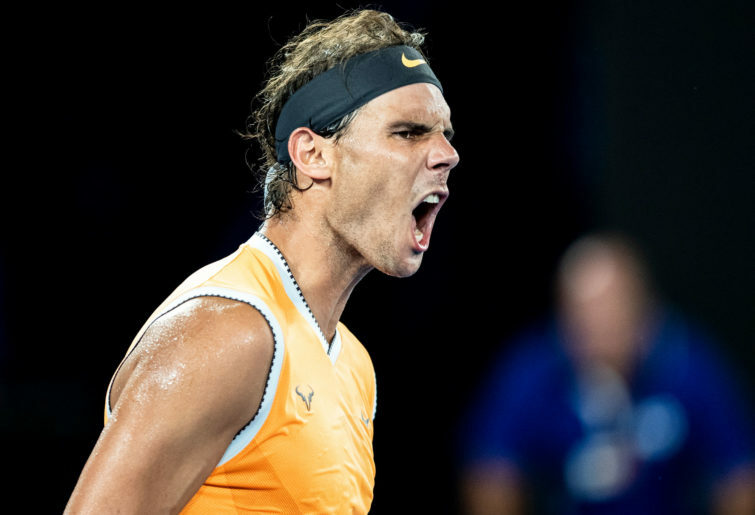 The rampaging, snarling Spaniard had ripped through the Australian Open draw in a way he had never done before. Nadal was dishing out bagels, was yet to drop a set, had an improved serve and his ultra-aggressive style was paying dividends. Many believed he would finally win a second Australian Open title – ten years after he won his solitary major Down Under. But Djokovic, now a 15-time slam winner, had other ideas. He hit 34 winners, a meagre nine unforced errors and dropped just eight games to the 17-slam winner. Simply put, Rafa had not faced anyone near the calibre of Djokovic over the last two weeks. The first-strike tennis that Nadal was utilising so effectively for six matches either left him on Sunday or that game was neutralised in a brutal manner. Right from the get-go, Djokovic had his man right where he wanted him. The game plan that Rafa probably had was thrown out the window when he was broken in game two. Nadal was never allowed to play the way he wanted to. Djokovic took the ball early, outhit the Spaniard and at one point in the third set he had lost six points on serve. Six! Rafa could not get into the Serb’s service games. He barely had a break point. And the game plan? He was never allowed to play the game plan. As a result, Rafa was made to look slower and older than ever. Nothing he could do was working. He could not impose his game on his opponent. Under this siege, Nadal then went back to a game style that he can no longer utilise nearly as effectively as in years gone by. That involved him standing further back and putting more height on the ball. That may work against others, but not Novak. Novak Djokovic has progressed to the Paris quarter finals. Nobody had dealt with Rafa’s power and attack before Sunday but Djokovic absorbed that power and from then on, the second seed was made to look devoid of ideas. Nadal is now more aggressive than ever before, because he is a step slower, he runs out of gas sooner and he is not as consistent. Against players other than Djokovic and maybe a handful of others, this attacking style can get the job done. Many of the shots that Nadal hit tonight would have been a winner. But against Djokovic, you do not get that luxury. Rafa had to hit three virtual winners to finally win a solitary point. This then leads to an increase in unforced errors as he has to take more risks. As we saw in the final, he then reverted to rallying further back behind the baseline and Djokovic just eats that up. If Djokovic can maintain this level, Nadal is unlikely to beat him anytime soon. At this moment in time, Nadal will just hope anyone else is on the other side of the net than Djokovic. He can still win slams, so long as Djokovic is not there to stop him. There is no changing of the guard, as of yet. Everyone else will have to wait their turn. Novak is not going anywhere anytime soon.